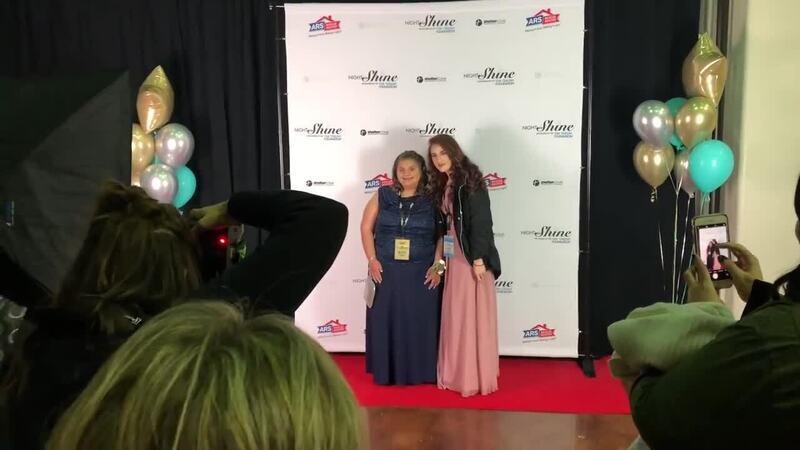 The second annual Night to Shine provided about 250 special needs people with a red carpet welcome, a catered dinner and other fancy touches Friday evening. The Society for Disabilities put on the event at Shelter Cove Community Church in Modesto with the help of that congregation and Renew Church. Close to 900 volunteers created a prom-like experience — makeup, hairstyling, shoe shines, photos, dancing, limousine rides and more. “I think that this was really cool, that we can make people happy,” said volunteer Fatima Ayala, the designated “buddy” for Alyssa Ybarra, after the two posed for a photo together. The event was one of many around the country under the aegis of the Tim Tebow Foundation, started by the former NFL quarterback.